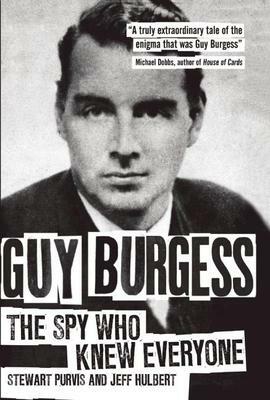 Cambridge spy Guy Burgess was the supreme networker of his age. His contacts provided him with so many hard facts and so much insider gossip that his Moscow masters found it difficult to keep up with the flow of material. Stewart Purvis and Jeff Hulbert, who obtained the first recording of Burgess's voice from FBI files, have now discovered many more facts about Burgess and his contacts from previously secret sources. This book reveals how, at the heart of Burgess's network was an inner cell of communist spies and sympathisers, who were influential in the British media in the 1930s and '40s. The outer layer of his network was made up of contacts, ranging from two prime ministers to celebrities in the arts and show business, who unwittingly gave him the inside track on British life. This is the first British biography of Burgess and considers how this scruffy, smelly, sexually promiscuous, conspicuous drunk was such a successful Soviet spy that he was never challenged by Britain's spy-catchers. It culminates in new revelations about his final, lonely days in Moscow as 'the spy who knew nobody'.